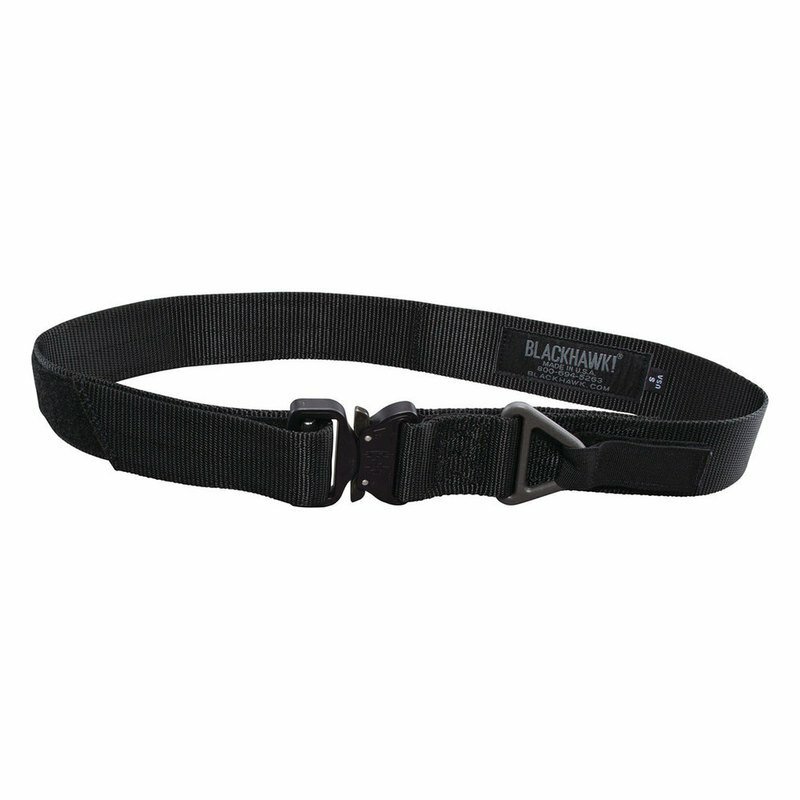 Blackhawk delivers security and ease of use during intense tactical situations with the Rigger's Belt with Cobra Buckle. Making emergency deployment easier, this belt features a quick-detach buckle as well as a hook and loop attachment to secure the running end. The buckle and adapter also meet exacting PIA-H-7195 standards. With a durable web construction, this high quality Rigger's belt offers 7,000 pound tensile strength in solid colors and 5,000 pound tensile strength for the MultiCam version. This 1.75-inch nylon belt is built to last, so you can use it day after day with confidence. Trust in Blackhawk gear when the going gets rough.